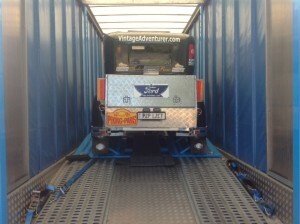 And we’re off… well the car is anyway. 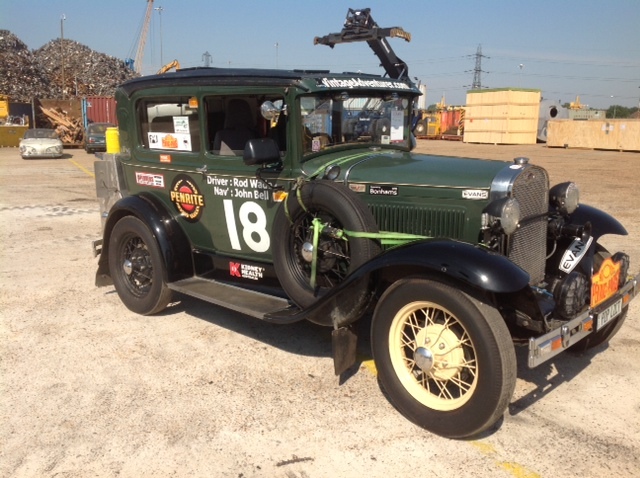 After spending the past couple of months at Carbank in West Sussex after returning from Paris, the Ford Model A, best known as Tudor Rose, is now in a container on a ship to New York. Special thanks go to Doreen Burbidge at Carbank for all her help and the great care she has taken of the Tudor Rose. The baton was then passed to Williams Global Freight who arranged the safe passage of the Tudor Rose to the docks and made sure she was safe and secure in the container as she embarked on her journey. See you in NYC, Tudor Rose – Bon Voyage!